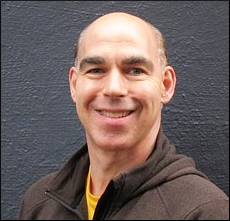 William will be teaching a new beginner’s course in Vedic Astrology at the Sivananda ashram in Grass Valley, California in September 2017. 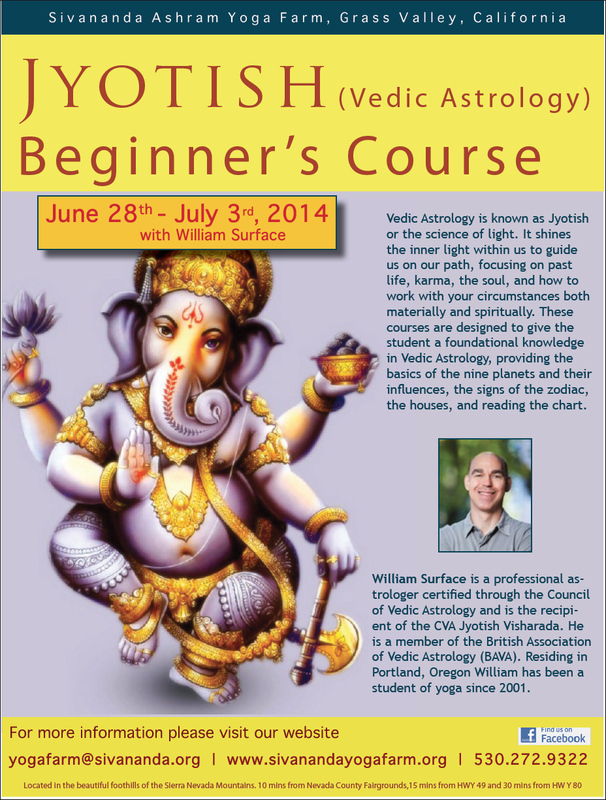 Take advantage of this opportunity to study Vedic Astrology (Jyotish) in an easy to understand but comprehensive course. This intensive course is designed to give a thorough understanding and grounding in the basic principles of Vedic Astrology. 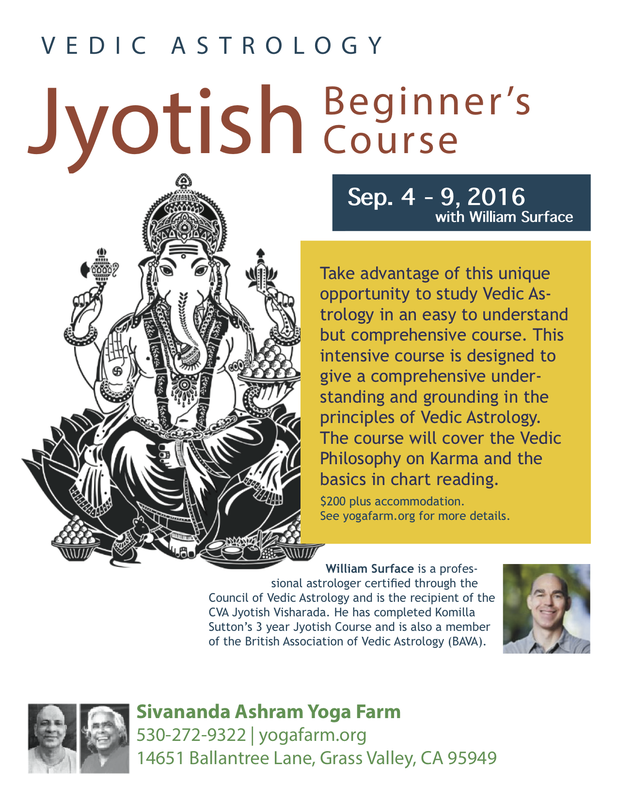 This course will cover the Vedic philosophy on Karma and the fundamentals of chart reading. 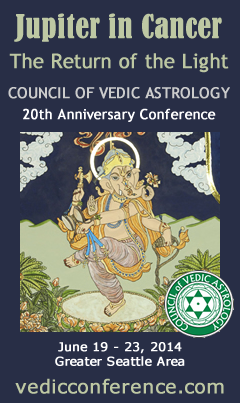 I’m giving a lecture at the Vedic Astrology conference in Seattle on Jupiter’s Exaltation and the Nodes Moolatrikona. The dates of the conference are June 19-23, 2014.